In late 2011, EPH began contract work for the now-complete $156m Dingley Bypass project. The project covered a 6.4km stretch of road linking Warrigal Road at Moorabbin and Westall Road at Dingley Village. The Dingley Bypass project was focused on reducing traffic delays, removing through traffic from Dingley Village and providing safer conditions for pedestrians and cyclists as well as drivers. EPH’s work was focused around working with Fulton Hogan to support material sourcing, supply and transport. 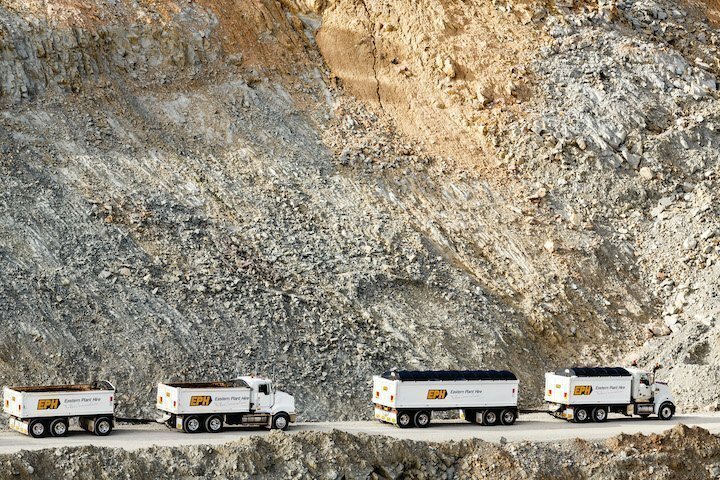 Fulton Hogan hired a fleet of EPH trucks, enabling the transport of material between the quarry and project site. EPH was responsible for sourcing and supplying over 200,000m3 of suitable re-use material to the project. In support of supply operations, EPH was heavily involved in loading and carting re-use material from the Boral quarry at Lysterfield. EPH also assisted in providing extra cost savings to the project through sourcing re-use options for the excess of topsoil at the end of the project. The Dingley Bypass project provided major improvements to the Dingley Village area. The project saw the inclusion of three new lanes, a shared cycle and pedestrian path and new signals, It also created a provision for a future pedestrian and cycle underpass at Mordialloc Creek, constructed the Elder Street South Underpass, and relocated the access points to the South Road service lane.